Well the Business Casual socks are done. 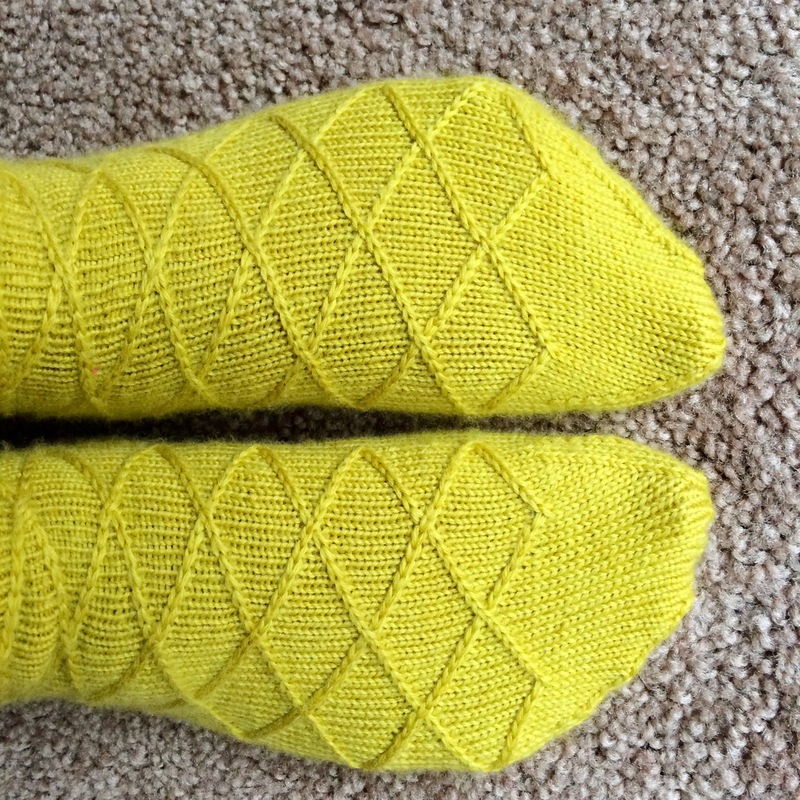 Check out my Ravelry page for sock details. My favorite section of the project were the heel flaps. 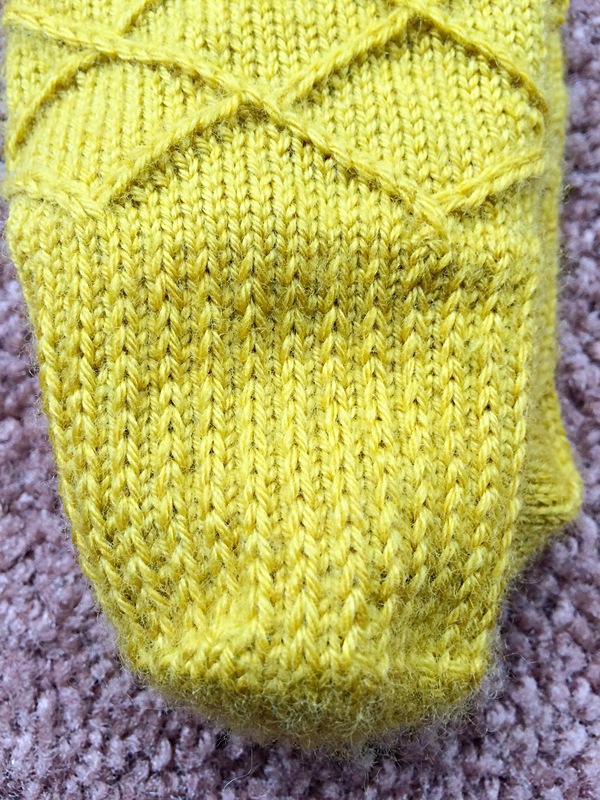 I was digging the subtle texture contrast created by the slip stitch pattern. It really was a nice addition to the design. I think I need to set a goal for myself to master this tricky finishing stitch. 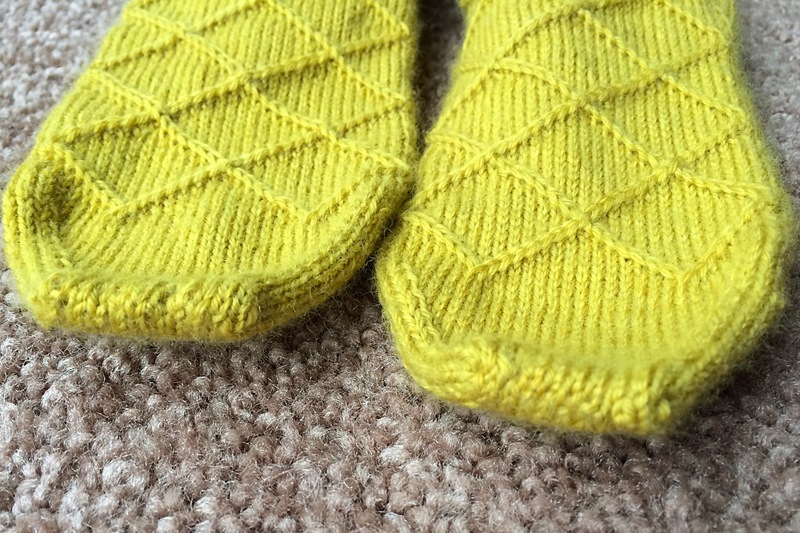 When done right it makes sock toes look great. Good thing my next project incorporates Kitchener stitch! Today we are heading out on our 6 week vacation to Martha’s Vineyard, Peru, and Bolivia! 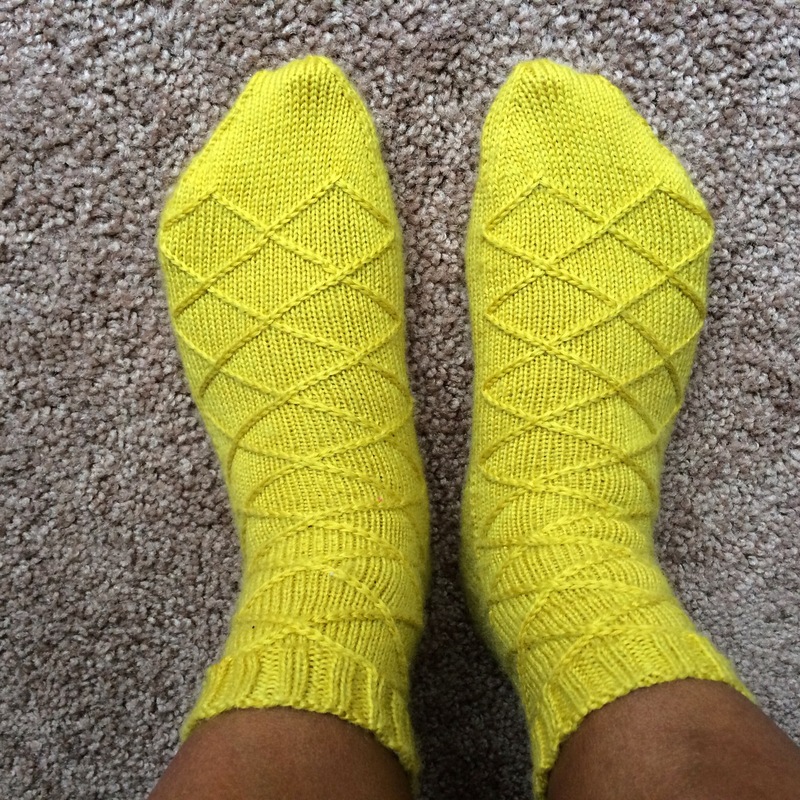 I decided to forgo a sweater and make some Jaywalker socks on our adventure. Socks are just so much more portable when you are limited on space. Lucky me I have two chances to perfect the Kitchener! So dear readers please check back for my progress. Posts may be limited as I don’t know how reliable the internet is in South America. However, feel free to follow my journeys on Instagram (username: fabwhitty)! « A Monster Ate My Kindle! Love these! The color, the pattern, to die for. Oh they came out AWESOME. Super duper AWESOME.